You probably know Chainfire from his work on SuperSU, which he stepped away from last year. Chainfire's latest project isn't quite as complex, but it is pretty timely. The Galaxy S10 launch has spawned a community dedicated to making wallpapers that celebrate the hole punch display, and Chainfire's Hidey Hole app puts all those wallpapers in one place. Hidey Hole pulls wall the wallpapers from /r/s10wallpapers, which now has more than 20,000 subscribers after Samsung linked to it on Twitter. The idea is to create wallpapers for the Galaxy S10e, S10, and S10+ to incorporate the hole punch in some fashion. 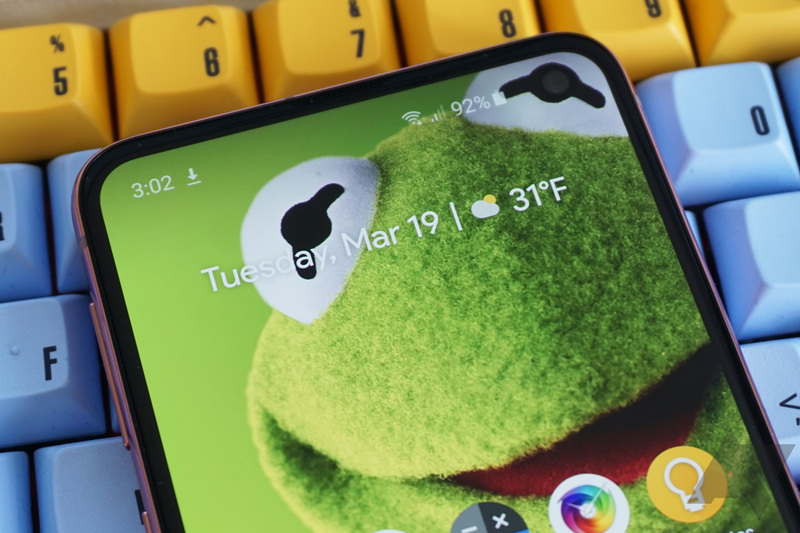 For example, by making the Galaxy S10e's camera into Kermit the Frog's eye. Hidey Hole just hit v1.0 in the Play Store after launching a few days ago in beta. The app is rather basic, but it's much more convenient than browsing the subreddit manually. You can filter wallpapers by device and sort by either popularity or date to find images. There are categories in the app, but those are a bit inconsistent. Hidey Hole also has some editing tools for contrast, brightness, and so on. You can get Hidey Hole in the Play Store or from APK Mirror.